Make it plain. Write it down. We’ve been doing this for four years now. We gather here and share our hopes, convictions, goals, expectations, aspirations, fears and/or dreams for the new year. We’ll do this again in 2017, making it the 5th consecutive year… and in this year, there’s a slight rebranding – #30DaysOfHope becomes #30DaysHopeful, because the latter is a hashtag unique to this project while the former has many other unrelated tweets attached to it, and it only makes sense to not share that space with other unrelated subjects. If you’re a regular here, there’s a high likelihood that you already know what this project is about, but if you somehow don’t, please see here for a more indepth explanation. That said, as always, daily between January 1 and 30, not more than three people will tell us what they’re hopeful for in 2017. The spots below are for the taking. Which would you like? A Hopeful 30 Days – The Finale? Over the last 30 days, 47 people recorded their hopes, dreams, expectations, aspirations, resolutions, goals and targets for 2016 on this blog. It seems like a small thing to string a few words together stating how you hope and pray your year goes but as reports that have fed back over the last four years have shown, it goes a long, long way in setting the (right) pace for the new year. I like to say partaking in this exercise is the first tangible step towards making these dreams a reality and this has rung true for many so far. Personally, I find it hard to regularly come back and study my words and make a conscious effort to make them into something concrete. Especially as we get deeper into the year and farther away from the day the words were laid down. This may not be the case for everyone of us, but I’m fairly certain I’m not the only one who goes through this. Life has a way of forcing us to live in the moment and turn our minds from reflecting or projecting. Over the last few months, I’ve been trying to figure out a way to make #30DaysOfHope better, more purposeful and make more of an impact to participants. After all, what would be the point of being a part of this project if you’re simply going to write a few words down and forget about them a few days/weeks/months later? I needed to figure out a way for us to more actively pursue the things we hoped to achieve. And then it struck… We can keep our dreams alive by actively and purposefully revisiting them. Together. In July, everyone who’s taken part in this year’s exercise gets the opportunity to review their year so far, directly referencing their January entries. This way, we get to give ourselves a reality check by answering the hard questions. How focused have I been on attaining my goals? How would I score myself thus far? How far have I gone to make my dreams a reality? What plans do I need to improve on? Do I need to push harder? Should I change course a little? Or a lot? Heck, should I scrap this vision entirely? Maybe defer it? Which of my targets are now redundant? What do I need to start on right now if I’m going to get it done this year? Of course, this is entirely optional but the benefits of participating are self evident. Participants who choose to go through with this admittedly difficult exercise get to retain the same day their January entries were published. Perhaps you see the benefits of doing this, but you’re a private person. I’d like to encourage you to go ahead. You don’t need olatoxic or this blog to “write down the vision and make it plain”. You don’t even need to publish it anywhere. It could be for your eyes only. Or only the eyes of your most loved one(s). Just be purposeful. As we bow out of January 2016, I pray for everyone reading this a wholly purposeful and fulfilling 2016. May the winds in your sails blow long and strong. May your journey(s) be most fruitious. Though your smile may wane, may it never fade away. You shall laugh many laughs, deep and true. As you pursue your dreams, ladies and gentlemen, Godspeed. “They say the goodness in life belongs to those who believe. So, I believe.” – Mos Def (Love, 1999). For the last 10 years, I have always had goals for each year. It doesn’t necessarily mean I achieve them within the time set. I have spent 3 years achieving a goal I had set to achieve in one year. Some, longer. But I kept writing them down every year. And my planning for goals has gotten better with time. On Tuesday, December 8, 2015, I woke up and decided it was time to quit my job as a Strategic Marketing Manager with a marketing agency. The next day, I bought a bus ticket for Abuja, and 2 days later, I hit the road. I would love to do a lot of that this year – take spontaneous trips and travel by road to far locations; sleep in cheap hotels. I am an adventurous person, but sometimes I feel like that part of me is caged. I want to free that guy; starting with exploring places in Nigeria, then Africa. People often complain about January; it’s a slow month, money isn’t available. But my January has been awesome. I have not lacked in anyway. I have had a few consulting gigs, and even though sometimes I catch myself thinking, “This isn’t enough, I need more money. There are so many bills to take care of,” I ask myself, “what if you didn’t even get this income that just came in at all?” I should be the last person to complain. I am very grateful. This year, I have 4 top priority goals. For some reason, all my top goals are around my finances and business/professional career. Complete the CIM professional certificate stage and begin the diploma stage. Achieving this would be a step towards becoming a chartered marketer and getting my degree. I am really happy I have started working on all these goals. A 9 – 5 is still on the cards, but I am open to strictly working on my personal projects as well. Two weeks ago, I started working as a Communications Specialist with a non-profit in a volunteer capacity. I want to specialise in integrated marketing communications, so the experience is good. However, I have felt that the role is not challenging enough. We will see how it goes. From a thought I just had, A Thousand 1000 has come alive. And what gives me the most joy is that it is no longer my idea. I don’t ‘own’ it; it is owned by a group of people who made the vision theirs. I am honored to stand with everyone who is a donor like myself. Is this the year, I finally get off sitting on the fence with God and fully commit? I really want it to be. The harvest is plenty but the labourers are few. The least I can do for God is to be one of the labourers and to help with getting more labourers. 2016 is going to be an amazing year. That is my reality. I wish the same for you as well. You just have to believe it, no matter what you see around you, and make that your reality. Stanley is John McFarlane… Die Hard! For someone like myself who’s too often living a happy-go-lucky life, it’s pretty impressive how hard Stanley goes at it. The man be grinding yo! I am usually not a very optimistic person, but I have hopes for this year. I start the year optimistic same as most other people, but a few weeks in, my optimism starts to wane and I’m tired and I believe that 2016 is the year the stars align. One month in the year is almost gone and I’ve still not lost that hope. 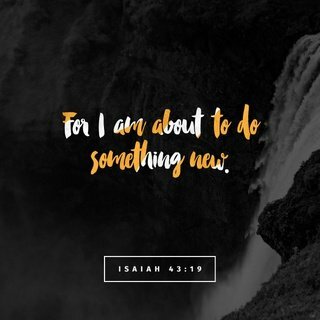 January has been bumpy, but I’m focusing on God and all the awesome things I have planned. I got the license to organise TEDxUnilag this year. I’m definitely very excited about that. I hope this turns out to be great. I’m in my 3rd year in school (but 2nd year in Unilag). I ended Year 2 with a great CGPA. I hope I’m able to maintain it. For the past few months, I was almost always broke. I hope I get a job soon and that I learn to manage my money better. I generally don’t hold grudges, but there is this one I’m trying to let go of because I was hurt pretty bad. I read a post about forgiving all wrongs and I hope I can do that this year. I haven’t gone to church in about two years. Probably more than that. I hope that changes this year. I’m church hopping for now. Until I find where feels good. BookBarterNG finally kicked off last year. I hope that all the things I want to do around it happen. I have other hopes and dreams that I won’t share (because: reasons), but I’m very hopeful about this year. Not just for me, but for a lot of people. Good things will happen this year. Happiness will be constant this year. Joy and good news will not depart this year. Lade has grown in leaps and bounds since I e-met her 6yrs ago. It’s fascinating to see someone/something grow, flounder and flourish before your very eyes and that’s what I pray for Lade… That at the end of this year, she shall look back and be fascinated.